This multicache can be done in less than one hour. 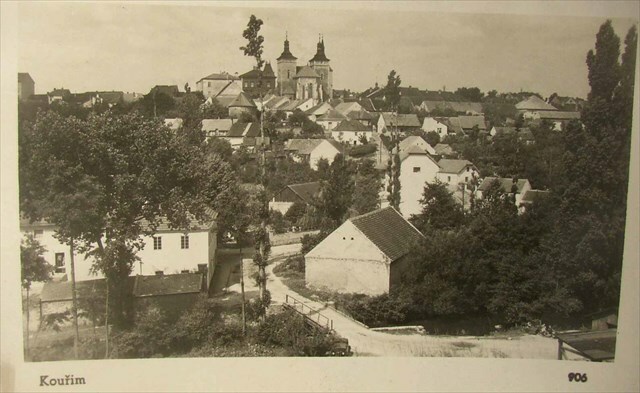 It begins in the strets of an old small town, leads you to a low hill where a Slavic fortified settlement used to be 11 centuries ago. And there is also an interesting N50/E15 confluence nearby. A.D. 653.... Lech - the duke, a younger brother of Cech.... made up his mind to settle in the direction of the rising sun.... and friendly told them the following: Brethren of mine who are dear to me and all of my friends: On the third day, before the morning star rises behind the Zrip, I will make a huge fire in the forest at that time and you will see the light of the fire and smoke above it, and then you will know the place I have settled. And he began to build a town with huge walls around.... and according to the smoke he gave it the name Kourim (Smoking). Leta sestisteho padestateho tretiho... Lech - knize, mladsi bratr Cechuv ... uminil se osaditi na vychod slunce ... a pratelsky se rozzehnav k nim povedel: Bratri mili i vsichni pratele: Tretiho dne, driv nez denice vzejde na Zrip a ja toho casu v lese ohen nesmirny ucinim a kdyz uzrite blesk ohne a dymu koureni, tu znejte me osazeni. A tu pocal mesto staveti a velkymi valy osypati ... a od toho koureni dal jemu jmeno Kourim. Today's Kourim is a small town, but it used to be one of the most significant towns of Bohemia in the Middle Ages. It looks like frozen in time decades and centuries ago. Don't omit to see well preserved city walls and the Prague Gate (Prazska brana). The open-air Village Museum (Skansen) with examples of traditional folk architecture on the SW edge of the town (N49 59.800 E014 58.350) is also worth visiting. Dnesni Kourim je male mestecko, ale ve stredoveku byvala krajskym mestem a jednim z nejvyznamnejsich sidel Ceskeho kralovstvi. Dnes tak trochu vypada, jako by se tam cas pred desitkami ba stovkami let zastavil. Neopomente se podivat na zachovale mestske hradby a Prazskou branu. Za navstevu stoji i skanzen lidove architektury na JZ okraji mesta (N49 59.800 E014 58.350). Ve smeru od Prahy se lze do Kourimi dostat napr. autobusem 412, ktery jezdi od nadrazi v Ceskem Brodu pres Lipany nebo vlakem pres Pecky. From the east side of the church follow the yellow sign down to the stram and behind the bridge uphill. Od vychodni strany kostela pokracujte po zlute znacce dolu k potoku a za mostkem pesinou do kopce. Po leve strane cesty je skalka, na ktere vidite turistickou znacku. Predtim tu vsak byla pouzita barva jina. Jeji stopy prosvitaji na okrajich znacky a par kanek se nachazi i pod ni. Jaka barva tu byla predtim? S pomoci nasledujiciho seznamu ziskate cislo b. This rock is called Lechuv kamen (Lech's Stone). According to legends pagan sacrifices took place here. The place offers a great view of the town. Stojite u takzvaneho Lechova kamene. Podle povesti zde byvalo v pohanskych dobach obetni misto. Prave odtud mel pry Lech davat kourove signaly svemu bratrovi. Od kamene je skvely vyhled na mesto. An old Slavic fortified settlement called Stara Kourim (Old Kourim) from 9th-10th centuries A.D. is situated on the hill southeast of the present town. Just follow the yellow sign from the Lech's Stone for the next several hundred metres. The remains of fortification (three lines enclosing the hill) are still visible. The evidence of an almost 90 m long hall building were found nearby the Baroque chapel on the top of the hill. There is also a small water reservoir called Libuse in the SE part of the forified area. Close to this pond there was a holy place where the rulers of this area were buried. Na pahorku jihovychodne od dnesniho mesta se nachazi pozustatky hradiste kmene Zlicanu z 9.-10. stoleti. Trojite valy okruzujici plochu zhruba 40 ha jsou dodnes zretelne. Od Lechova kamene prochazi arealem hradiste zlute znacena naucna stezka s radou informacnich tabuli. Well, that's interesting, but where is the cache? No to je vsechno zajimave, ale kdepak je cache? Cache is behind a stump EFF metres in the bearing of DGD degrees from N50/E15. Cache je ulozena za parezem EFF metru smerem DGD stupnu od N50/E15. P.S. Jestlize jste v Kourimi poprve, a presto vam mnoha mista na trase od prvniho ke tretimu zastaveni pripadnou povedoma, nemylite se. Starosvetsky vyhlizejici mestecko je vitanou filmarskou kulisou. Tady vsude se natacel popularni televizni serial Bylo nas pet. Pokud patrite k jeho fanouskum, muzete v ramci projektu Filmova mista pri prochazce za kesi pomoci dokumentovat skutecne domy, ulice a kusy krajiny, ktere filmari pouzili. [English] 1) Pnpurvfba gurabegurnfgfvqr bsgurebnq. 2) Ybxsbevg sebzgursvryq. 3) N1.3yYbpx naqYbpxppbagnvare pbirerqjvgufrireny cvrprfbsjbbqnaqonex oruvaqgurfghzc. [cesky] 1) Pnpurfranpunmv anfrirebilpubqav fgenarprfgl. 2) Uyrqrwgrmcbyr. 3) Wrgb1,3yYbpx naqYbpxxenovpr cevxelgnarxbyvxn qeriralzvqrfgvpxnzv nxbhfxlxhel grfarmncnermrz.